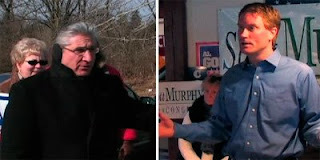 Don Moore of Hudson, has penned an in depth analysis of the Murphy-Tedisco race in the 20th Congressional district for ccScoop. The piece, titled "What Counts in the 20th Congressional District Special Election" delves into the makeup of the district's electorate and their motivations for going to the polls and supporting their candidates. He also gets into the fundraising aspect of the campaign along with all of the other money flowing in to this race. It's a fascinating read. Check it out at ccScoop.